Wildflowers populate space near land that will eventually be converted to leased farming lots at the Hilltop Urban Farm in Pittsburgh's St. Clair Village. Crews have planted cover crops to prevent soil erosion and help prepare the land for growing plants. Development of one of the largest urban farms in the U.S. is well underway on the former St. Clair Village site. Crews at the Hilltop Urban Farm have planted 68 fruit and nut trees in the one-acre youth farm, expected to open in April 2019. After years of studies and plans, Hilltop Urban Farm director Sarah Ashley Baxendell said volunteers are preparing the land and vegetation for the winter, and are excited to start farming. Of the 107 acres available, 23 will be dedicated to agriculture. The Hilltop Urban Farm master plan, including space for a farmer incubation program, a youth farm and for-profit grower space. The idea for the urban farm came from Mt. Oliver and St. Clair community groups following the 2010 demolition of the 680-unit public housing complex. Neighbors wanted to fill the vacant Housing Authority-owned space with agriculture and youth programming. Of the 11 southern hilltop neighborhoods in the Hilltop Alliance, nine are food deserts and two — Carrick and Mt. Washington — are food gaps, meaning they each have one grocery store. This lack of fresh produce can create unhealthy eating habits, especially for area youth. “We want to make sure we’re giving our kids the very best that we can offer,” Baxendell said. Hilltop Urban Farm director Sarah Ashley Baxendell says nearly everything at the farming site has been donated to them, including the painted picnic tables in the one-acre youth farm. With Pittsburgh Arlington Pre-K - 8 across the street, the kids’ farm will become an immersive workspace to learn about biology, social studies, and sustainability. Lighthouse Cathedral Church, the nearby Academy Charter School and Arlington will bring the number of youth within walking distance to the farm to more than 500. Of that group, Baxendell said, about 85 percent are economically disadvantaged, so access to the farm could also provide greater food security. The kids’ farm has several painted picnic tables, a shipping container for supplies and a few wild turkeys. Baxendell said the next step is to install raised beds; local partners donate most of the labor and supplies. Across from the youth farm sits land for growers operating businesses, as well as an urban farm incubation program. In addition to the land, the three-to-five year program will provide farmers with a shared tool library, solar panels and educational sessions on entrepreneurship and finance. Training the next generation of farmers is essential to the mission of the farm, Baxendell said, especially considering the average age of a farmer in Allegheny County is 60. The 107-acre site is situated near the intersection of Cresswell St. and Mountain Ave. in Pittsburgh's St. Clair neighborhood, the site of a former public housing complex. It's also across the street from Pittsburgh Arlington PreK-8, so students can easily access the farm and its resources. 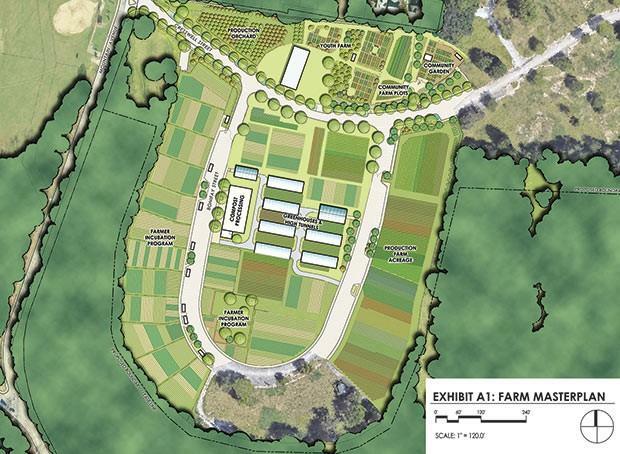 The entire farm has several more years of soil rehabbing and land development before it can be fully operational, but Baxendell said she’s already getting requests for partnerships. Since medical marijuana passed in Pennsylvania in 2016, only one labor union has come to an agreement with the city to allow employees to obtain medical marijuana cards: Pittsburgh firefighters. During their first debate in a closely watched Congressional election, Democrat Conor Lamb and Republican Keith Rothfus spent much of their time treading carefully on a number of hot-button issues, and appeared intent on separating themselves from hardliners in their own parties. But differences did emerge on some bread-and-butter economic concerns including Social Security.